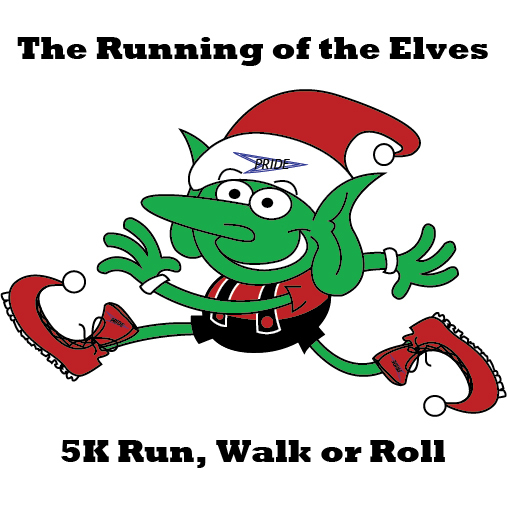 Dust off your elf costume and come run, walk or roll with us for PRIDE’s 2nd Annual Running of the Elves 5K on December 9, 2017! This race begins and ends at PRIDE Inc. and traverses through the surrounding residential neighborhoods. Proceeds from this event will go towards PRIDE’s mission of “improving the quality of life for all”. PRIDE Inc. is a non-profit that provides services to adults with disabilities in the greater Taunton area. Make a difference, and join us! Thanks to Team Hoyt of New England, we will have sport wheelchairs available for athletes requiring them. Interested in rolling in the 5K, or teaming up to push a wheelchair athlete? Contact Sarah at 508-823-7134 x241 to reserve separately in advance. -	Bib pick up will be Friday 12/8/17 11a-3p and Saturday 12/9/17 8a-10a. 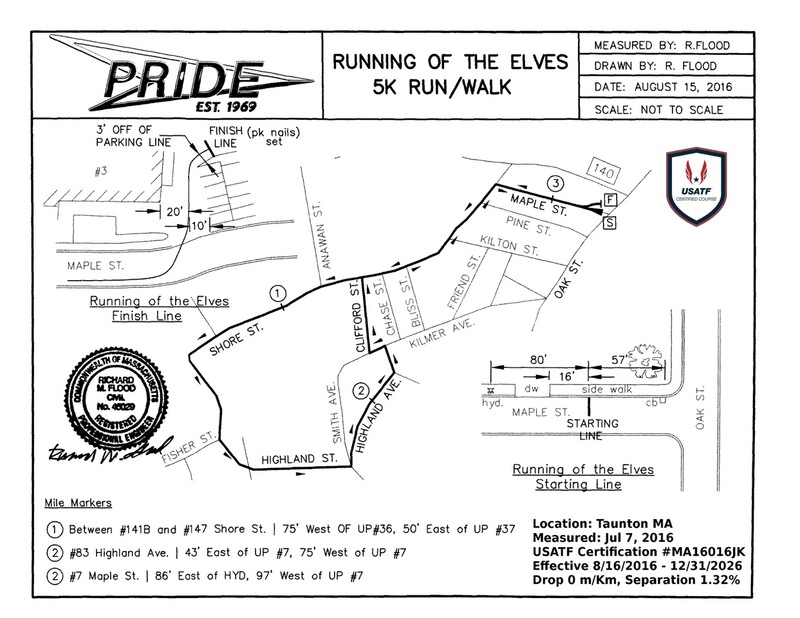 -	All registrants receive a free PRIDE RUNNING OF THE ELVES T-shirt! -	Great food at after party! -	Parking is available in the PRIDE Inc. parking lot; street parking is available and there are neighboring parking lots. - Course is USATF certified.